Since 1991, ETAP-Lab developed a large expertise - born of 25 years' experience in neurosciences, ethology and rodent behavior measurement - which it applies now to neurologic disease models. In partnership with Normandy University (Pr. Denis Vivien’s research unit), ETAP-Lab created STROK@LLIANCE to provide translational state-of-the-art preclinical pharmacology services in the field of Stroke. This partnership places ETAP-Lab as a worldwild player with one of the largest and most innovative model portofolio. ETAP-Lab also invests in Alzheimer disease model development. ETAP-Lab models rely on the type III diabetes hypothesi. After the implementation of an original model of cerebral hypometabolism in rat (STZ intraventricular-injection), ETAP-Lab obtained findings to developpe a new translational model in mice. ETAP-Lab also provides gold standard behavioral tests for psychopharmacology (anxiety, depression, peripheral and visceral pain, learning, …). Contact us for more information. Created from the alliance of the public Experimental Stroke Research Platform (ESRP), branch of the highly-recognized INSERM unit “Physiopathology and Imaging of Neurological Disorders” (PhIND), and the well-established CRO ETAP-Lab, with more than 25 years of market knowledge, STROK@LLIANCE gives you the opportunity to work with a unit which is fully dedicated to preclinical stroke in order to address your questions on mechanisms, diagnostics and therapeutics in stroke. STROK@LLIANCE offers the best from public and private preclinical research in a unique service, providing scientifically sound protocols and advices, cutting-edge technologies and methodologies, and quality-controlled studies in a fast-paced result-oriented environment. ETAP-Lab is the commercial representative and project manager for STROK@LLIANCE services. Bioprolor2 is a public-private consortium which aims at discovering new plant-derived molecules with health benefits to speed up the development of innovative drugs and active ingredients. ETAP-Lab leads the pharmacological research on Neurodegenerative diseases for Bioprolor2, especially in Alzheimer’s Disease. The project aims to 1) developing an innovative and translational mice model and 2) evaluate the efficacy of new active molecules in several animal models. 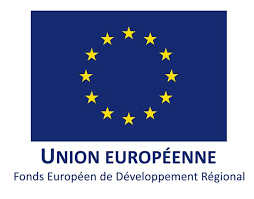 Bioprolor2 is co-financed by the “Region Grand-Est” and the European Union through the operational programme “FEDER-FSE Lorraine et Massif des Vosges 2014-2020”. Besides ETAP-Lab, partners are Plant Advanced Technologies, Stanipharm, Biolie, BASF, l’Université de Lorraine and the Laboratory Agronomy and Environment (UMR UL-INRA).